During Apple's Worldwide Developers Conference keynote on Monday, the most stage time wasn't allotted CEO Tim Cook, or marketing head Phil Schiller, but to Craig Federighi, the software chief who stepped out from his "behind-the-scenes" role and into the spotlight. 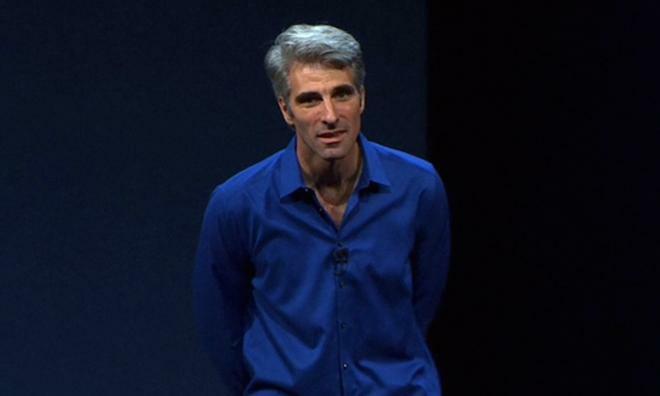 Apple's vice president of Software Engineering Craig Federighi. Along with the glut of new product announcements and operating system previews unveiled at WWDC 2013, developers were impressed with Federighi's performance, which was at the same time dynamic and collected, reports The Wall Street Journal. The publication put together an in-depth look at Federighi's new, highly visible role, which one developer said "set the tone and personality for the new Apple that appeared yesterday." Federighi began working at Apple cofounder Steve Jobs' Next alongside fellow software engineer Scott Forstall, who went on to play a pivotal role as head of iOS before being ousted from the company in 2012. When Jobs moved back to Apple after Next was purchased in 1996, Federighi left for enterprise software firm Ariba where he ended up taking on the role of chief technology officer. He was subsequently recruited back to Apple in 2009 to head the Mac software team. Last October, Forstall was fired from Apple after reportedly butting heads with the likes of design chief Jony Ive and others, as well as not taking responsibility for the iOS Maps flap. This put Federighi in charge of both Mac and mobile software, both primary focuses of Apple's annual WWDC event. Whereas Forstall was the previous go-to for iOS announcements, Federighi found himself in the limelight. The position may not have been the most likely for the executive, though, as the WSJ points out, Federighi often declines social get togethers to focus on work. The attention is not unwarranted, however, as unnamed Apple employees said Federighi played a crucial role in finishing the latest iOS 7 on time. In April, rumors had it that development of the mobile operating system was running behind schedule. It appears Federighi managed to successfully bring together both Mac and iOS software teams, which ultimately resulted in the iOS 7 beta and OS X Mavericks Developer Preview seeded to developers yesterday. On stage at WWDC, Federighi exuded confidence. Tasked with presenting the important iOS 7 and Mac OS X Mavericks operating systems, as well as undertaking live demos, he was calm and collected. Most importantly, Federighi appeared comfortable in front of the thousands in attendance, at times even interacting with the crowd after announcing a particularly exciting new software feature. With the buzz surrounding his keynote performance, Federighi is quickly becoming the public face for some of Apple's most important products, stepping into the shoes of seasoned public speaker Scott Forstall. For a "behind-the-scenes" player, those shoes seem to fit quite well.